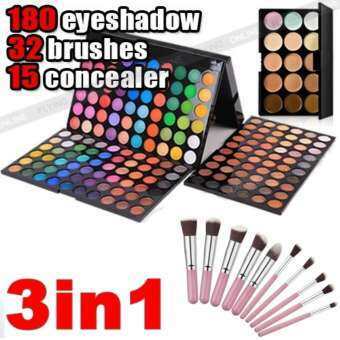 This colour eyeshadow palette has 3 layers and each layer has 60 colours. The 180 leading-the-trend colours give you a wide selection and don’t hesitate to buy. -Soft and silky to the touch. -10Pcs brushes for different functions. -Suitable for Professional use or home use. -Soft and comfortable for use. -With proper care, your brushes can be enjoyed for years. -Great use for concealer to small imperfections, blemishes .